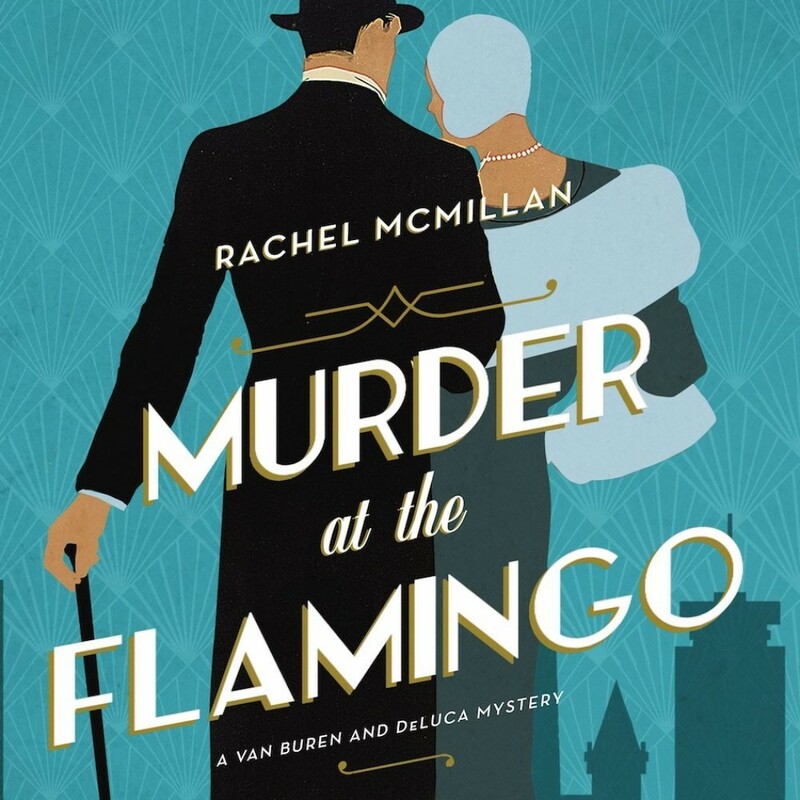 Murder at the Flamingo | Rachel McMillan | Audiobook Download - Christian audiobooks. Try us free. "Maybe it was time to land straight in the middle of the adventure...."
Hamish DeLuca has spent most of his life trying to hide the anxiety that appears at the most inopportune times - including during his first real court case as a new lawyer. Determined to rise above his father's expectations, Hamish runs away to Boston where his cousin, Luca Valari, is opening a fashionable nightclub in Scollay Square. When he meets his cousin's "right hand man" Reggie, Hamish wonders if his dreams for a more normal life might be at hand. Regina "Reggie" Van Buren, heir to a New Haven fortune, has fled fine china, small talk, and the man her parents expect her to marry. Determined to make a life as the self-sufficient city girl she's seen in her favorite Jean Arthur and Katharine Hepburn pictures, Reggie runs away to Boston, where she finds an easy secretarial job with the suave Luca Valari. But as she and Hamish work together in Luca's glittering world, they discover a darker side to the smashing Flamingo nightclub. When a corpse is discovered at the Flamingo, Reggie and Hamish quickly learn there is a vast chasm between the haves and the have-nots in 1937 Boston - and that there's an underworld that feeds on them both. As Hamish is forced to choose between his conscience and loyalty to his beloved cousin, the unlikely sleuthing duo work to expose a murder before the darkness destroys everything they've worked to build.